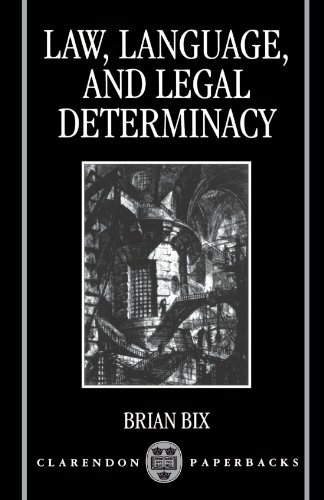 This book discusses one of the central problems in the philosophy of law--the question of legal determinacy. Is the law a seamless web or are there gaps? Bix argues that the major re-thinking of the common and "common sense" views about law that have been proposed by various recent legal theories is unnecessary. He offers a reconsideration of the role of language in the law, and the way ideas about language have been used and misused in recent legal theory. He explores in depth the relationship to legal theory of Hart's influential idea of "open texture," Dworkin's interpretative approach to law, and Wittgenstein's philosophy.